Madrid got on the board first in the 13th minute at Benito Villamarin stadium before some 54,000 fans on Sunday night on a great drive and score by Luia Modric, who fired one into the top of the net from just outside the penalty zone. Sergio Canales took until two minutes after the break to take Betis’s first shot on goal, with Costa Rica’s Keylor Navas, filling in for Thibaut Courtois at goalie, fending off the attempt, reports Efe news. 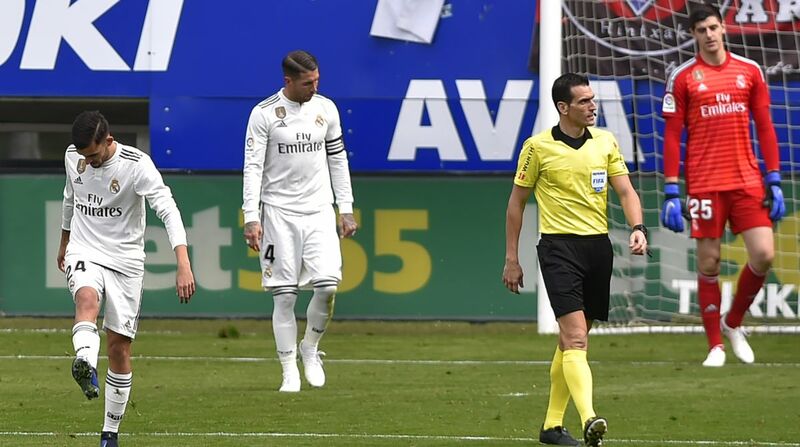 Canales was on the scene once again in the 68th minute to hit the equalizer – which was counted only after an extensive VAR review, although the officials could see that Dani Carvajal was playing Canales onside, and thus the tally counted. However, Ceballos, who had not started, was sent in and made the difference for Madrid just two minutes before the end of regulation time, moving the squad into fourth place in the La Liga rankings. The free kick came from the edge of the box, with Ceballos firing a bender that swooped around the arguably poorly-placed wall to make it past Lopez and into the net.